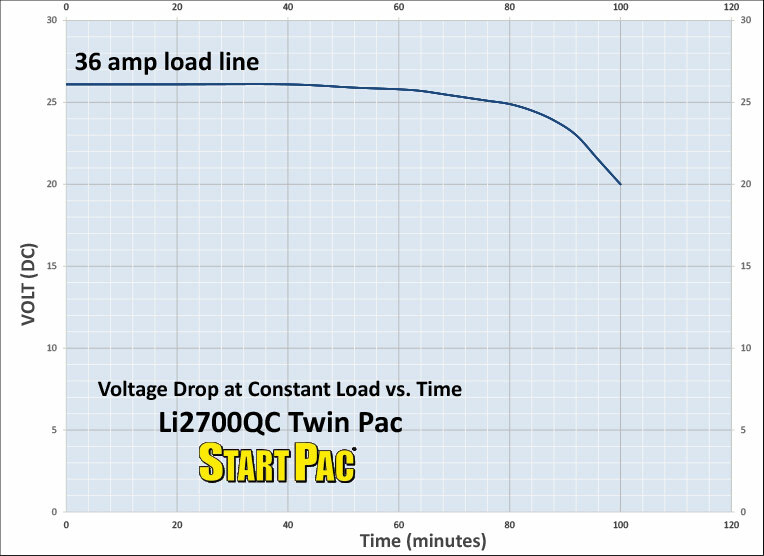 This powerful Lithium Ion starting unit is a full 26VDC portable battery pack and will provide superior starts on all electrically-started turbine engines. This versatile Twin Pac can be used as a single unit or separated for two complete Lithium units that can be easily carried on board. It has redundant chargers with a total of 18 amps output and a recharge time of approximately four hours. 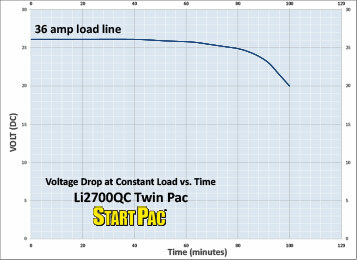 The engineers at Start Pac specifically designed the new Li2700QC as an airplane starting unit with voltage protection relays that are set lower than most aircraft so that they cannot accept more than 29.5 volts from an external starting source. Some of these aircraft include the Agusta Westland AW139, Sikorsky S-76, Eclipse 500, Phenom 100 and Phenom 300. Start Pac also offers other products such as power supply for mining equipment, starting unit devices and more. 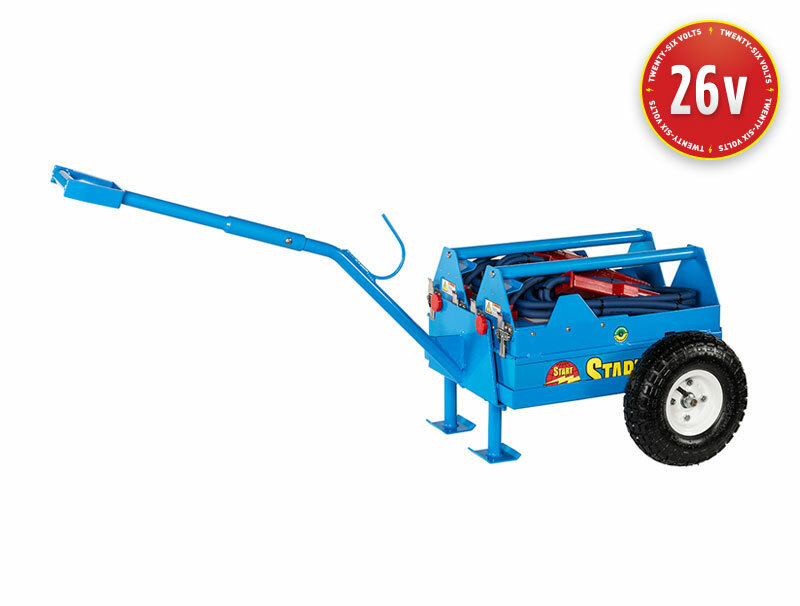 Browse our website to find the ground power unit or starter unit you need or contact us today for more information. We provide helpful online tutorials and phone support, making it easy to find the yellow GPU or refurbished unit you’re looking for. Do not charge in flight. PLEASE NOTE: Lithium ion batteries can be damaged by deep discharges. Do not run the batteries down below 22 volts, a spike during a start is okay. Voltages below 22 begin the damage to the batteries. At 20 volts, the batteries will be damaged beyond repair.